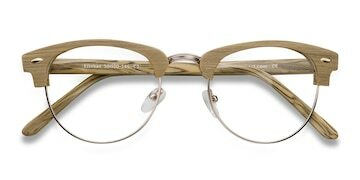 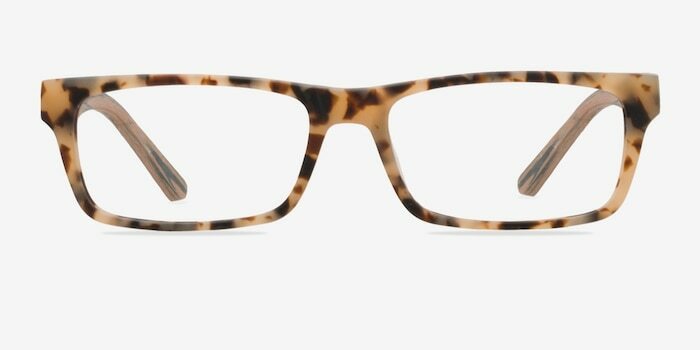 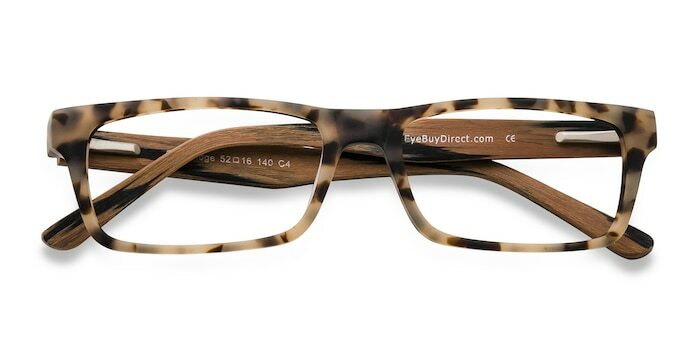 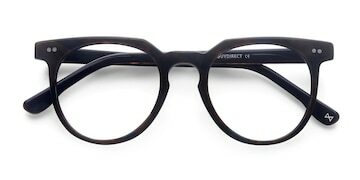 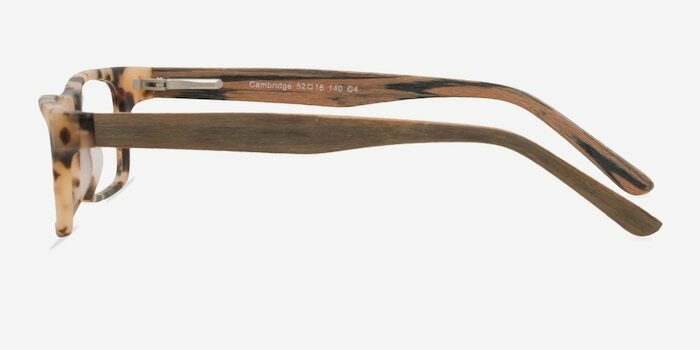 These tortoise eyeglasses are anything but boring. 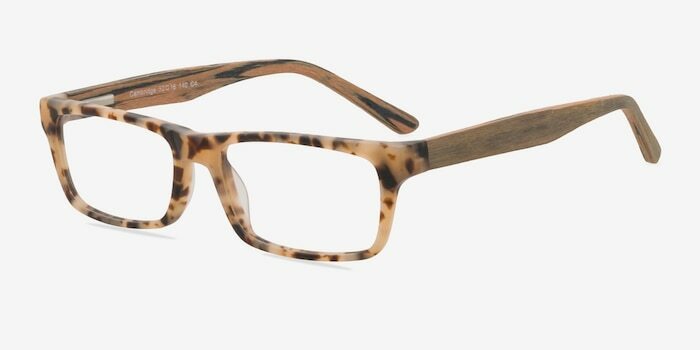 This multi-textured look features an opaque tortoiseshell frame front with narrow rectangular shaped lenses and wood-like striated temples. 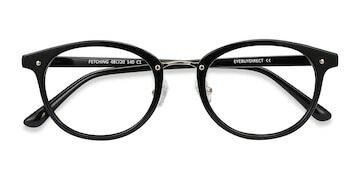 Flexible spring hinges make this eccentric look comfortable for both men and women.